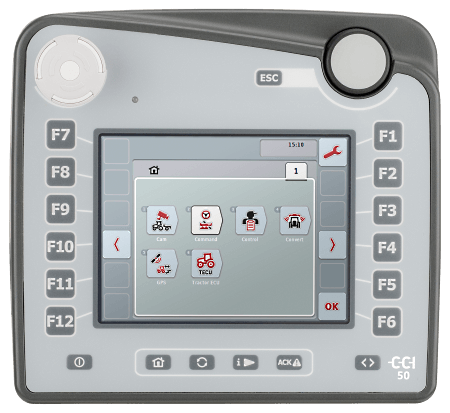 Simply connect machines, a second terminal or additional control unit (e.g. a joystick) to the ISOBUS – for cross-manufacturer machine operation and data transfer. 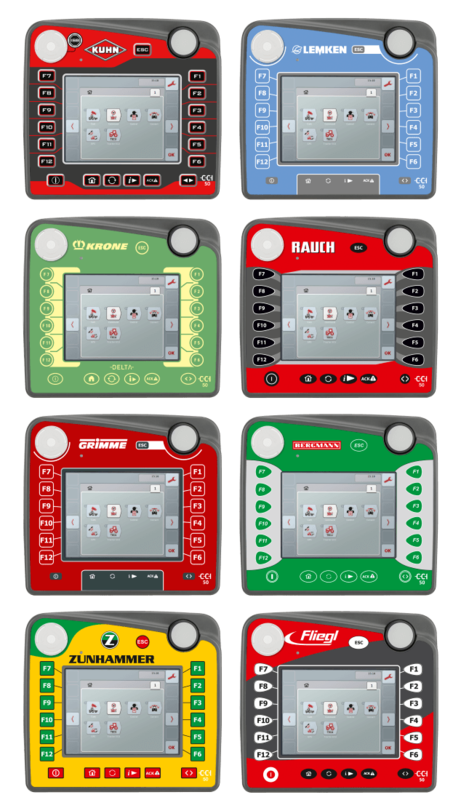 While not all tractors are equipped with ISOBUS, most of them come with a signal socket. 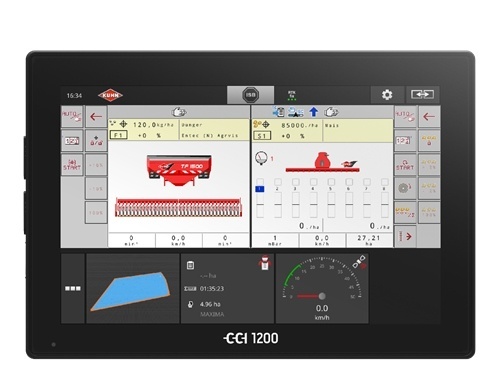 The CCI-Terminal makes use of this to determine driving speed, PTO speed and linkage position and then shares the data with all other applications in the ISOBUS network: area-counter, speed-related control of spread rate in fertilization and crop protection, to name only a few. 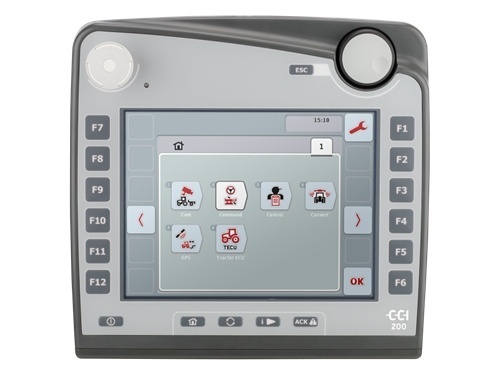 The CCI-Terminal also provides interfaces for GPS, video-cameras and an external light bar. With CCI.Apps it’s easy to add features to your CCI Terminal and customize it according to your needs. Already a multitude of apps is available, some of which are free of charge and part of the standard delivery. Add apps later? No problem! Your dealer determines the activation code using the CCI Service-Portal. After entering it into the terminal, the app is instantly operational. Simply add new apps and benefit from our future developments. 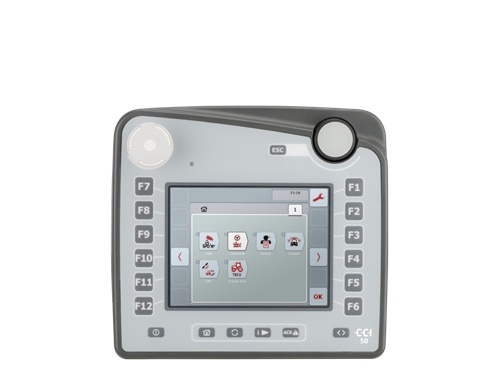 The CCI Terminals are available at the CCI member companies only.